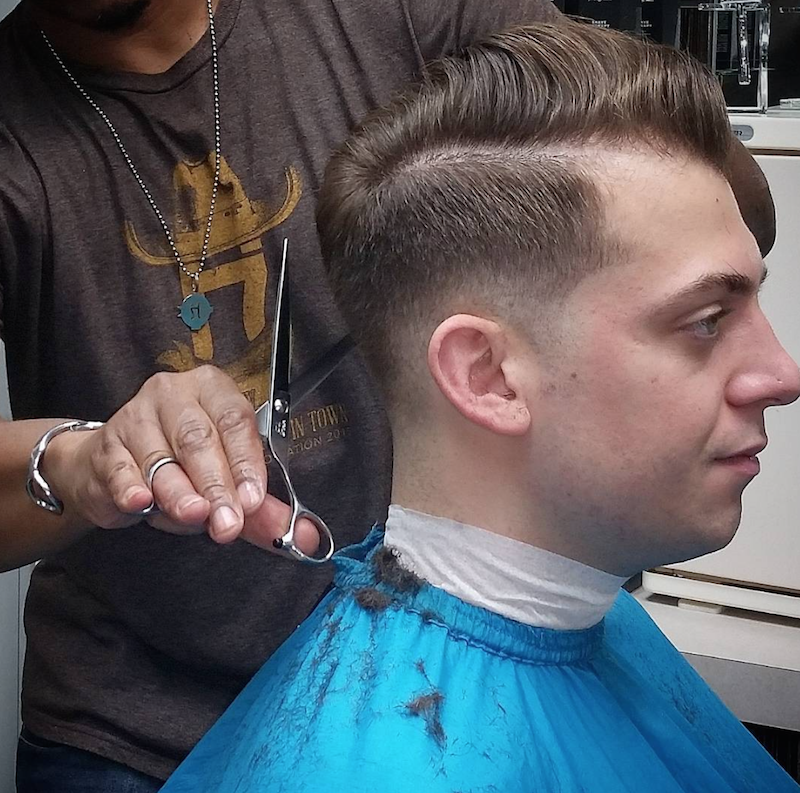 If you haven't met Antonio Heath yet online (AKA @tonytonsorial) he is an incredible resource for building and maintaining a successful independent barbershop, using some truly unique tactics. Not to mention, the way he works with his hands and shears is truly magnificent! 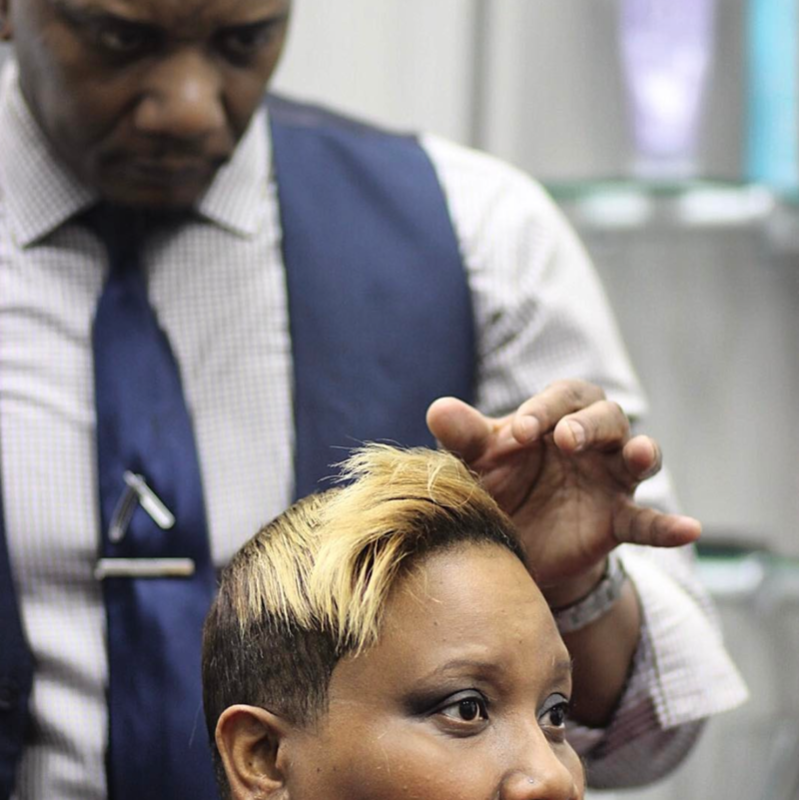 This month's Faces of Sola feature is an active and engaged member of the Sola social community who also travels the country aggressively as an educator for Hattori Hanzo Shears. We talked to him about booking clients and his consultation process, using social media effectively to boost his business, and his most "knock-your-socks-off" customer service tactics to keep clients coming back. Let's take a peek inside Antonio's process. How can someone book an appointment with you? A new or existing client can book their appointment with me via email or by phone. Most of the time, people text me to book an appointment. Texting has been great because it eliminates a lot of time spent talking and returning calls. But honestly, I want to change that which is why I’m in the process of getting my SolaGenius account set up so that clients can book online. I spend a lot of time on the road traveling and educating, and I want to be able to book myself in other cities. So if someone wants to book an appointment with me and it is 3 am their time and I’m going to be in their city, then they can do that through my SolaGenius online account. This will give me a chance to open up my availability and not have to worry about not getting back to people through text or email in a timely fashion. They can book right then and there. Up until now, what has been the most effective way of obtaining new clients? Through social media or referrals? Through Instagram, definitely. I have my phone number listed in my bio and that’s been the best way for me to get most of my new clients. Walk me through your consultation process. It actually depends on what your appointment is for because I have a different consultation process that corresponds to a specific service. For instance, if you’re coming to see me for a straight razor shave, I’m going to ask you if you’re on any type of medication or blood thinners because with the slightest knick or cut, you’re going to be bleeding constantly and I need to know that. If someone is coming to see me for a haircut service, most of the time they have a photo in hand for what look they want me to cut, and that’s where I talk with them about whether or not that cut is right for their hair texture. So if you have a different consultation script for each service you provide, how many services do you offer? And how have you gone about pricing out these services? I take a number of things into consideration when I price out my services: my overhead, my lifestyle, and what the national average is. You always want to stay at or above the national average. The national average price for a men’s haircut is about 28 bucks. 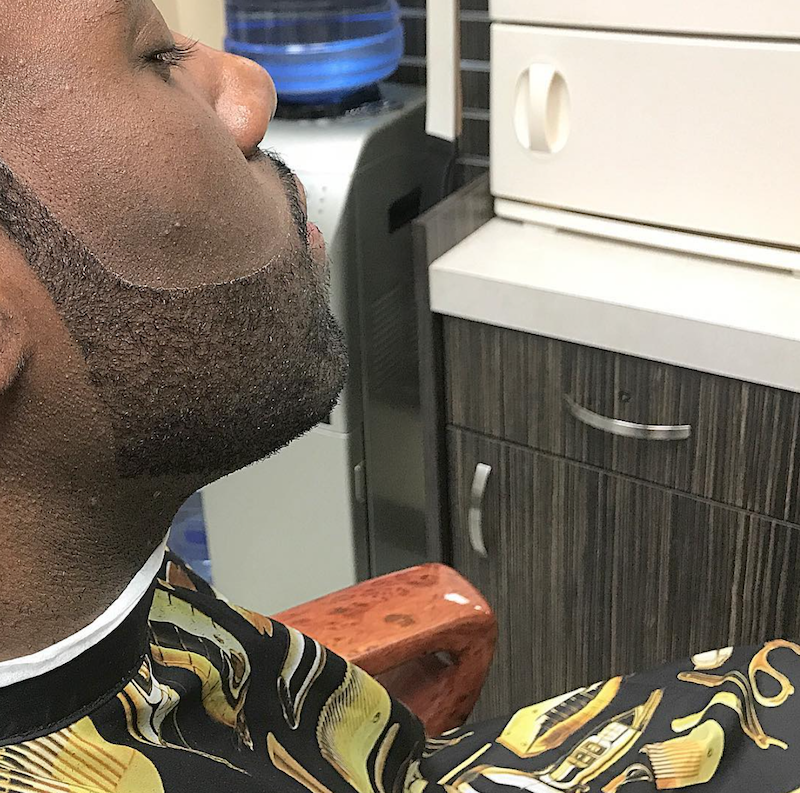 What makes a haircut’s price go up are the amenities that come with it like your location, your customer service, the products that you use, etc. That’s what takes it up to $15-20 extra. What is the price for a haircut in your salon? 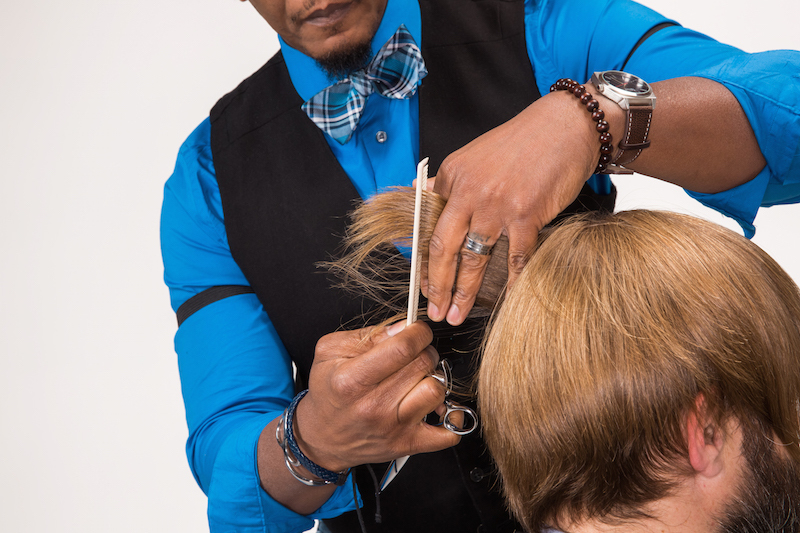 My biggest ticket item is my haircutting service because it has the most range in pricing, unlike my other services that have just a standard price with zero range. You mentioned long hair; do you have a lot of longhaired male clients coming in? No, not really, but I do have a lot of ladies that come in with long hair. Whoa, wait a second! You also have female clients?! Oh yes, I cut ALL hair. 75% of my clients are male, and 25% are female. A lot of the ladies come from my male clients—either their girlfriends or their wives. I do get some women from social media as well and even through Sola. They come into the building to get other services, like getting their nails done and see me doing hair. The Sola community has been also a successful way of me getting more clients. Let talk about hair coloring as a service. How many of your male clients are partaking in this? I would say about 50% of them. A lot of my male clients color their hair because of their career. For instance, some of them can be seen on television and because of hi-def television, they are very concerned about grey hair being seen. You’ve been a barber now for 27 years, and you pride yourself on providing your clientele a high level of service and care. Describe your “knock their socks off” customer experience. First and foremost, it’s all about the location. 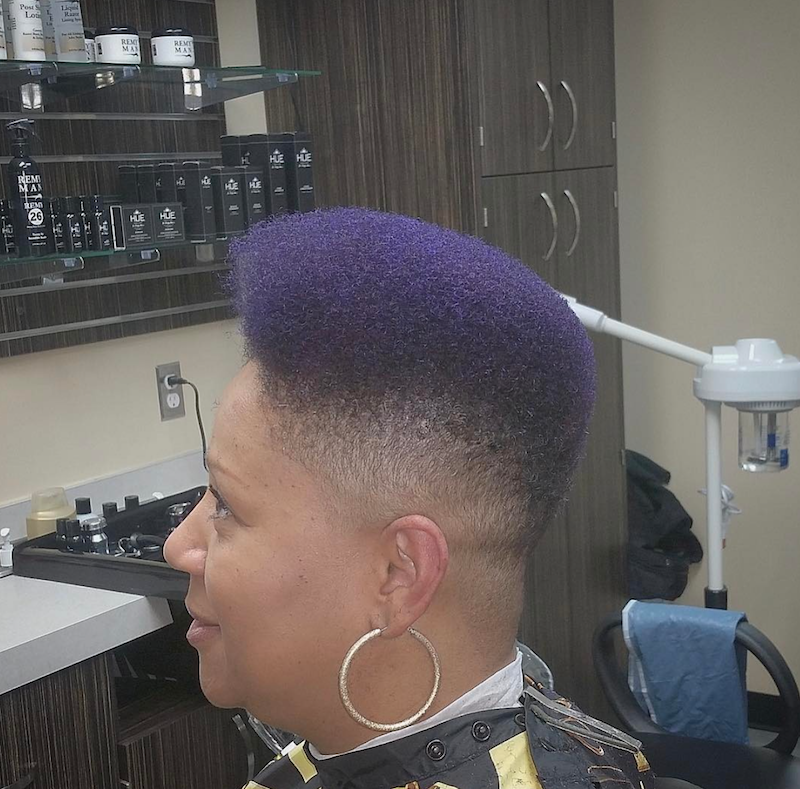 From my experience, and being that I used to own a barbershop before opening up my Sola space, they are blown away when they walk into a Sola. · Providing them a beverage, and having that ready for them when they arrive. 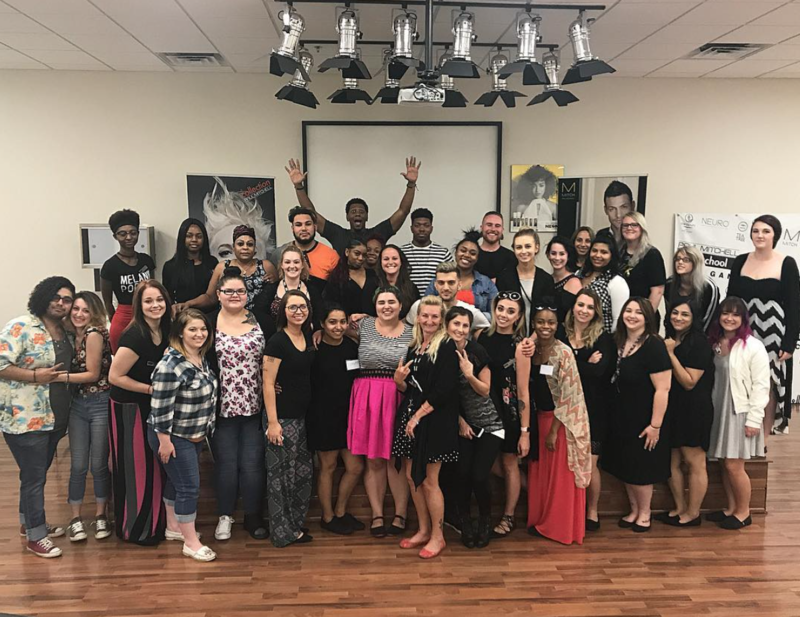 · Giving them a hand, shoulder, and temple massage no matter what service they are receiving that day. · Finishing all my hair service clients with a nice aromatherapy shampoo experience. · Providing them a cologne or perfume bar to spritz/splash the latest trending scent before they leave. · Cleaning eyeglasses with a little shammy before I give them back to them after their service(s) have been completed. These are the little things that blow people away, and the types of things that help me increase my pricing up above the national ticket average. What made you want to create a cologne/perfume bar for your salon? I did this because we have a changing room at Sola, and a lot of my clients are coming in the morning to get their service like a shampoo or a shave done, and then change into their work clothes. I have it set up so that when my client is done and ready to leave, they can apply a little bit before they walk out the door. I feature colognes and perfumes that are really hot on the market. What’s your average appointment time? How much time do you block out for someone in your chair? It’s usually 25 minutes. Back in the day, I used to have about 25-30 people a day sitting in my chair, but I don’t want to work like that anymore. Now I usually see about 8-15 people. I’m doing so much stuff now on the other side of the chair that I can’t work that way anymore. My schedule is full with being behind the chair, with educating, traveling, etc. And with my prices where they are now, I don’t have to work that way or that hard anymore. With traveling, educating, and working behind the chair, do you feel like you’ve achieved a healthy work/life balance? Oh, I do! It’s because everything in my life has a schedule now. Before I didn’t have a schedule. When anyone wanted a haircut or a service, I would just do it, no matter what time of morning or night it was. Now, I own my time. I know how to be exclusive and not wide open. I have a schedule for when I’m in my Sola, a schedule for when I’m traveling, and I have a schedule for when I spend time with my wife. When you schedule out your life, you have to remember you can’t be everything to everyone. Let’s talk about your social media game for a moment. How long have you been active on Instagram? It’s been about five years now. When I first started using Instagram, I was just posting photos. Honestly, I was a little bit behind—not using a good, hi-def camera like other people were so my photos really didn’t look good. Then I got the equipment I needed. How did you go about acquiring 19.8K followers? What really attracted people were my shear cutting and shear control videos I was posting. Once I started putting those up, I started getting a lot of notice, especially from companies and people who had large social media audiences, like Modern Salon. They started checking out my photos and reposting them, and when they would repost something on their account, I would get anywhere between 100-200 new followers in a day. An older generation of hairdressers are still having a bit of a difficult time grasping the importance of social media in terms of client acquisition. Any advice or tips you can lend? Honestly, it’s not just social media this generation is struggling with; it includes grasping and adapting to change. But once they are willing to change, it’s easier to give advice and tips. The biggest thing I teach people about is hashtags. That’s how you get people to notice and follow you. Once they grasp the hashtag process, then they are good. So many of them are used to and just want to go the old fashioned route—word of mouth and getting out there and introducing yourself to people. For some of them, it works, and they are okay with that. But for many, it just doesn’t work anymore. That’s where change happens. What else are you doing to stand out amongst the youngins in the industry? Staying consistent and being available—that’s what I’m doing every single day. 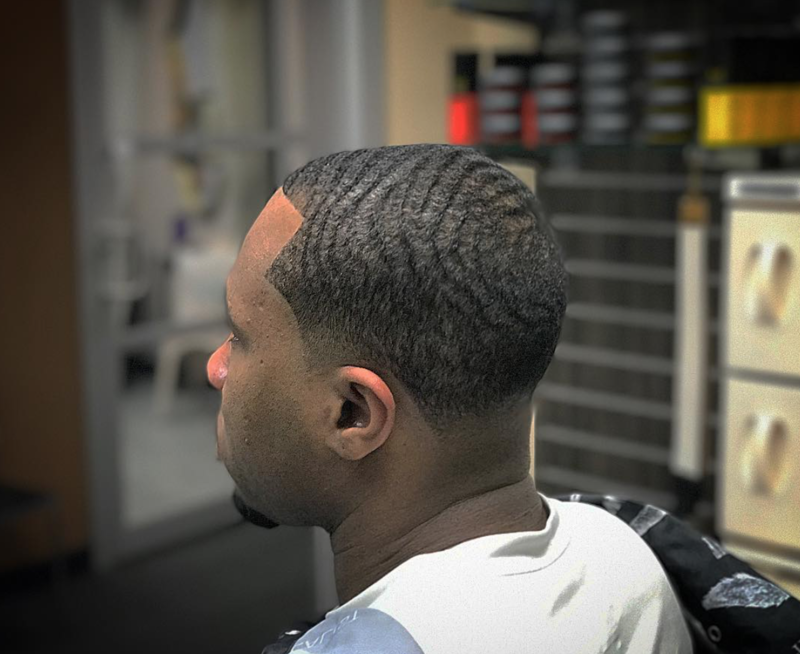 A lot of the younger barbers can’t stay consistent with what they do and where they are, and they spend so much time moving around that it is hard for them to even grow a clientele. What’s your advice for those young barbers out there? My advice to them is this: Go to work every single day. I think one of the things they really struggle with is having the proper kind of guidance. Most of them don’t have any. They don’t have an old barber to teach them stability and consistency. In school, they are taught how to get their license. The younger generation is having a hard time adapting to life in the barbershop. 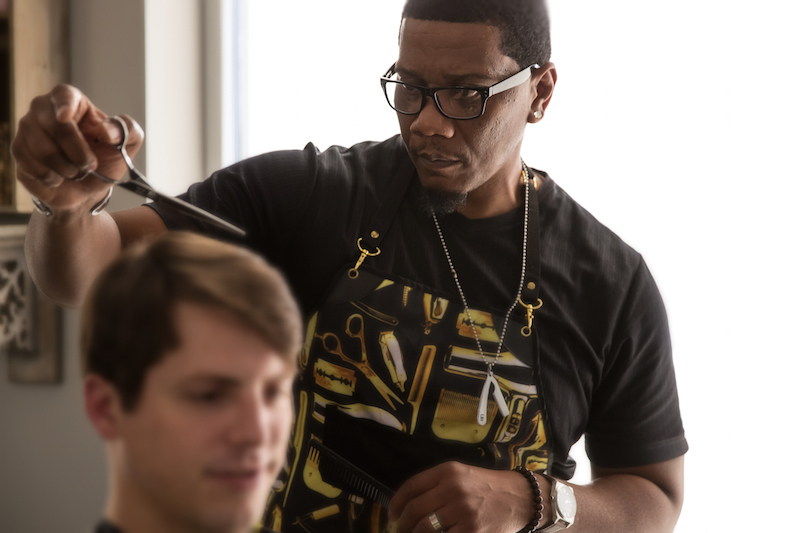 Being on shows like Barber Battles or being a celebrity barber—that’s the kind of stuff they find important. But that’s not how you’re going to thrive in this industry and have longevity. Be in the shop, stay in the shop. Stay consistent with everything you’re doing. 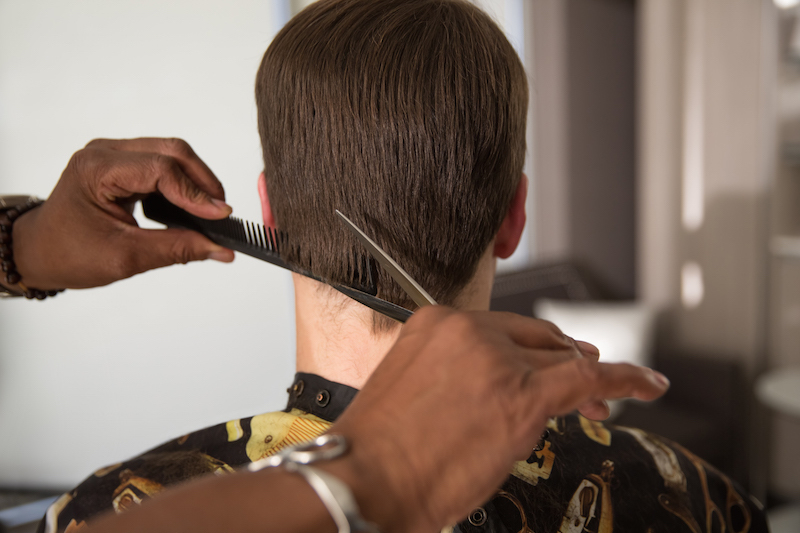 With an industry that is getting younger, and hairdressers and barbers getting older, what does this older generation need to embrace before they hang up their shears and call it a day? You know, that’s a very good question you ask because I was actually once there in my life. I experienced this and almost threw in the towel. Back in 2003, way before I joined Sola, I had a storefront, and it took away from the fun and the art of being a barber. It was mainly because I had all these other things I had to worry about. When I started attending classes and furthering my education, I discovered that I wasn’t the only one feeling this way. There were a lot of people like me who were missing what we loved to do. It motivated me to hear other people’s stories. When you get out and you learn and you’re around like-minded individuals, then it all becomes fun again. It’s inspiring, motivational, and you can apply what you’re learning immediately. That’s what gets you addicted to learning. What are you doing to support your Birmingham, Michigan community? You know, it’s still kind of new to me and I’m trying to figure it all out and what’s going on in this area. In the Detroit area, I still do my annual Cuts for Kids Back to School event. There is this large area in downtown Detroit and I invite a few barbers out to cut hair before school starts up. It’s an all-day event and the cuts are free. The barbers come in and donate their time. It starts at 8 am and goes until 8 pm and we usually get a few hundred kids who show up. Last question, what’s your opinion of the Sola community? When I’m out traveling, I make sure I get out and visit the Sola in the community or in the area, just so I can pop in, walk around, and say hello. The thing I’ve noticed from everyone I’ve met on the road and by attending Sola Sessions is that we all are so much alike. We’ve all experienced similar struggles in our careers and in this industry. 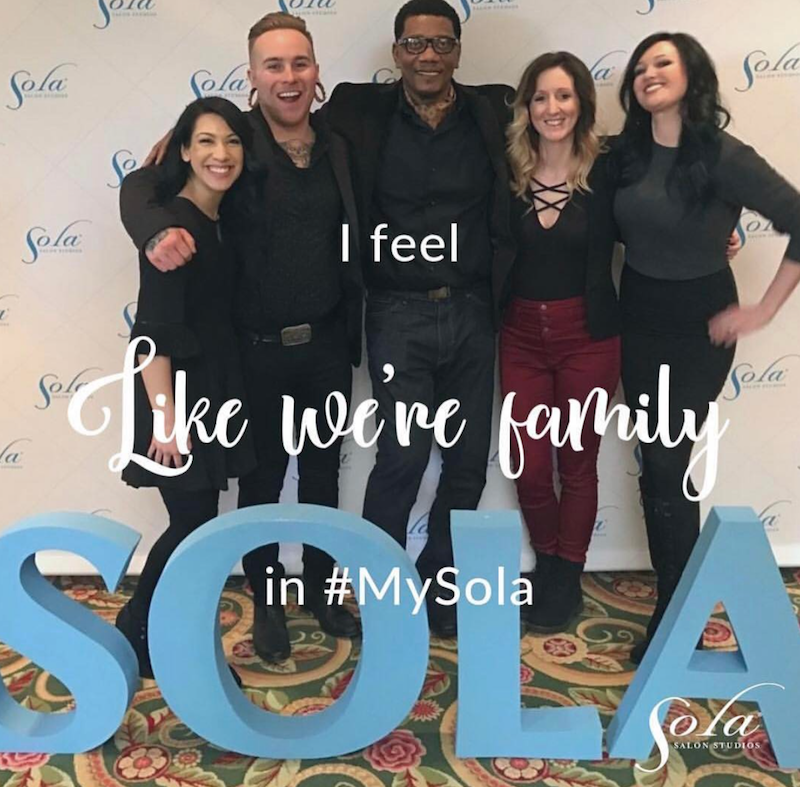 I think that’s what makes the Sola community so strong—we’re all these different people coming together with the same problems and we can get through anything together. It makes us strong. It makes Sola strong. To connect with Antonio, follow him on Instagram @tonytonsorial, or check out his Sola webpage.